RB series, class 400/600/HRB, offer robust construction in brass, carbon steel, or stainless steel bodies. 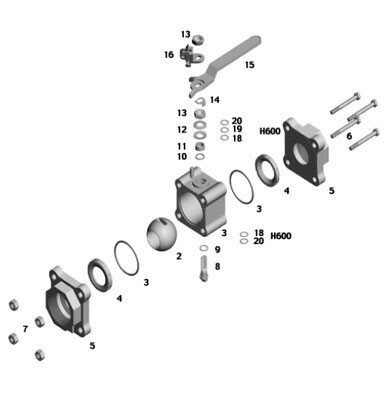 Mounting options include NPT, BS, SW, BW or clamp ends. Reduced or full bore. Pressure test of 1500 psi (class 400), 2200 psi (class 600), and with brass 1000 psi. Seal materials for high frequency cycling are available. Option HRB: Pressure test 3000 WOG, stem 17-4 PH, B7 bolts. Heavy duty seals for high pressure.